Bananas have a delicious taste and soft textures and easy to digest. Bananas are also rich in nutrients that are beneficial to health. Such as carbohydrates, protein, calcium, phosphorus, vitamin A, vitamin B1 vitamin C, and fiber. There are many reasons for you to start loving bananas. Bananas readily available and relatively affordable price, the banana has a myriad of health benefits. The fruit is rich in minerals such as potassium, magnesium, phosphorus, iron, and calcium. Bananas also contain vitamins, namely C, B complex, B6, and serotonin is active as a neurotransmitter in the smooth functioning of the brain. Bananas contain fiber, carbohydrates which help regulate the body's digestive system by helping to maintain regular bowel movements regular. Bananas also contain pectin, which helps to improve overall digestion and prevent constipation. Not only that, the banana has a natural antacid effect, which helps prevent the recurrence of ulcer disease. 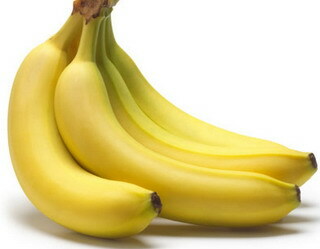 Regularly eat bananas also helps reduce the risk of gastric cancer. If you have stomach problems, try to add the bananas into your diet, to help resolve digestive problems. Potassium in bananas have side effects that are good for the kidneys. When your body is getting enough potassium, your body will control the spending of calcium in the urine. This condition will make your kidneys are still functioning well, while also reducing the risk of kidney stones. Keep in mind that bananas have high levels of high antioxidant phenolic compounds, which act to help protect the kidneys. Bananas contain a prebiotic called fructooligosaccharide. Fructooligosaccharide allows our body to absorb nutrients more easily. That means that the banana will help your body absorb calcium, thus providing you with strong bones. In fact, the potassium in bananas can help prevent the loss of calcium, which means that you have a lower risk of developing osteoporosis later in life. Doctors often recommend that patients with high blood pressure (hypertension) to add more bananas into their diet. Why? Due to the high levels of potassium and low sodium in a banana is a good combination to prevent high blood pressure and reduce the risk of stroke. Eating a banana every day can be of great benefit to vision. Eat at least three servings of fruit per day may lower the risk of impairments associated with age or so-called macular degeneration. Someone who ate three or more servings of fruit per day 36 percent less likely to suffer macular degeneration than those who consumed less than 1.5 servings a day. It's never too late to start eating bananas to prevent further vision loss. Banana has tryptophan, an amino acid that helps the body produce serotonin. These neurotransmitters help you to feel calm and stabilize mood naturally.